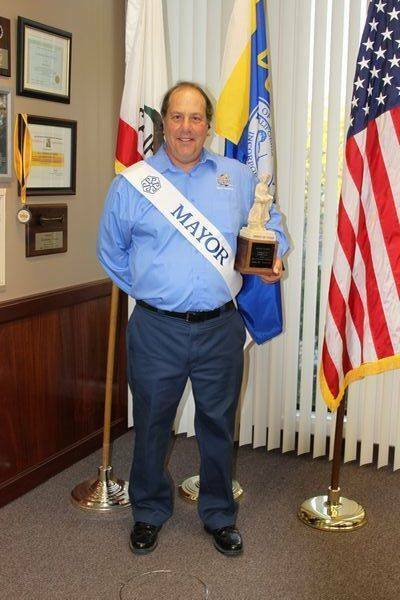 ‘….Mister Maaaaayor!” Pomona Mayor Elliott Rothman models a contestant-style sash made by the Sash Company of Upland. Here he comes, walkin’ down the street, gets the funniest looks from everyone he meets. Hey, hey he’s the mayor, people say he monkeys around, but he’s too busy posing, to put anybody down!